joining the ranks with millions of gals from all over i too attended a cookie party with all the celebrated sprinkles of suger goodness complete with tasty food and drink. 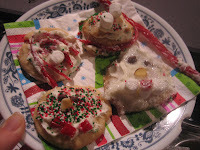 this year i really tried to win but alas my cookies did not seem to dazzle the judges taste buds as i would have liked. 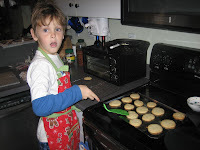 perhaps i should have let my son help me more...because his cookies are just the coolest.